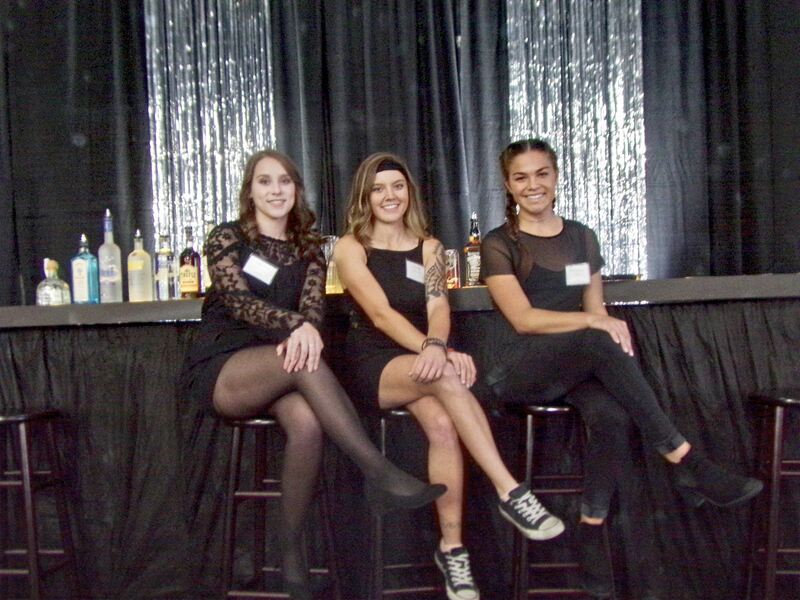 Rocky Mountain College’s Black Tie Blue Jeans fundraising event celebrated it’s celebrated its 31st anniversary on Nov. 2. This event provides RMC with the opportunity to express gratitude to various donors of the college as well as raise money for student scholarships. Rocky prides itself on supplying quality education for all students. Although tuition at RMC may seem high compared to other colleges, there are various financial aid awards that are generously given to many students. The average award package provided is $24,000, which includes scholarships, grants, work study, and loans. Students have the Black Tie Blue Jeans scholarship benefit to thank for that. RMC created an official brand – RMR – that stood for Rocky Mountain Roundup. This registered brand was used on the cattle and other livestock donated to the college. These branded livestock were then brought to public auction yards, by RMC student volunteers, where they were judged and sold. Black Tie Blue Jeans, when it first began, auctioned off a reserve champion calf and a grand champion calf. It wasn’t until 1990 when the branding and cattle roundup became a silent and live auction of various donated items. Today, Black Tie Blue Jeans remains a huge part of Rocky’s history and traditions. The event is considered one of Billings’ premier gala events as well as one of the city’s longest-running scholarship benefits. Donors and patrons of the college get to spend the evening in beautiful attire and enjoy a lovely meal catered for them. Student volunteers make this event even more special, and they themselves are very excited to be apart of it. The students’ ability to meet and form bonds with the people who help pay for their education makes Rocky Mountain College unique and shows that the college is heavily immersed within the Billings community. Looking back, the mission of Black Tie Blue Jeans has not changed since its inception. The common goal throughout these 31 years has been to raise money for scholarships and make it possible for the next generation of college students to have access to quality education. Rocky Mountain College would like to thank all of those who attended as well as all of those who volunteered for this fundraiser. The college is deeply appreciative of its relationship with the community and is eager for next year’s event.